A look into the ways in which environmental concerns have been woven into the narrative of contemporary Canadian fiction will be the focus for a Lakehead University professor who is the recipient of a prestigious Fulbright Canada Visiting Research Chair. Dr. Cheryl Lousley, Associate Professor of English and Interdisciplinary Studies at Lakehead Orillia, will be a Fulbright Canada Visiting Research Chair at the University of California, Santa Barbara (UCSB), starting in January 2018. While in California, Lousley will work with the Department of English at UCSB, teach a seminar course on Canadian literature, and begin her research project titled “Environmental Narrative and Memory in Contemporary Canadian Fiction” at UCSB’s Literature and Environment Research Center. Lousley’s research will focus on the study of contemporary Canadian novels and short stories, looking at the ways in which environmental concerns have been narrated in Canadian fiction. Her interest in memory aims to shift the focus away from future environmental concerns that tend to dominate discussion to look at how our environmental histories tend to be forgotten. In particular, she hopes her research will unveil the ways that different Canadian contemporary writers have been intervening in the narrative of Canada by the way in which they talk about our environmental past – writing stories back into awareness so that we can remember the ecological suffering that also happened during the development of our nation. Lousley began her career at Lakehead University in January 2011. 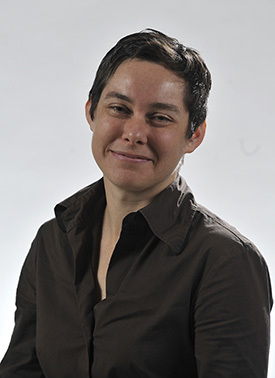 Previously, she has been a Carson Fellow at the Rachel Carson Center for Environment and Society (Munich, Germany), and a postdoctoral fellow at the University of Leeds (UK) funded by the Social Sciences and Humanities Research Council of Canada (SSHRC) and International Council for Canadian Studies. She received her PhD in 2006 in the Faculty of Environmental Studies at York University, and her Master of Arts at the University of Toronto. She is also the editor of the Environmental Humanities series with Wilfrid Laurier University Press. Fulbright Canada, the Foundation for Educational Exchange between Canada and the United States of America, is a binational, treaty-based, non-governmental, not-for-profit organization that encourages mutual understanding between Canada and the United States of America by providing academic and cultural opportunities. Media contact: Jaclyn Bucik, Marketing and Communications Associate, Lakehead University, jbucik@lakeheadu.ca or 705-330-4008, ext. 2014.